Some of the music video’s scenes were staged replicas of photographs by Gordon Parks, a pioneering African American photographer who documented the civil rights movement in the 1950s and 1960s. In one shot, a group of black Muslim men train for self-defense, which is based on a 1963 photo Parks took in Chicago. In another, a bloodied black man from 1957 is a victim of police brutality. Now, these photos and more are on view in a photo exhibition entitled Element: Gordon Parks and Kendrick Lamar at theGordon Parks Foundation in Pleasantville, New York, which runs until 9 February. Even though Lamar’s music video pays tribute to Parks, some questioned the integrity of its artistic samplings when it was first released. “Some people said ‘its appropriation,’ others asked, ‘is it allowed?’” said Peter Kunhardt Jr, the director of the Gordon Parks Foundation. Parks, who grew up in Kansas in the early 1920s, was a self-taught photographer. He bought his first camera from a pawn shop, didn’t finish high school and let his camera lens lead him throughout his high-spirited life. 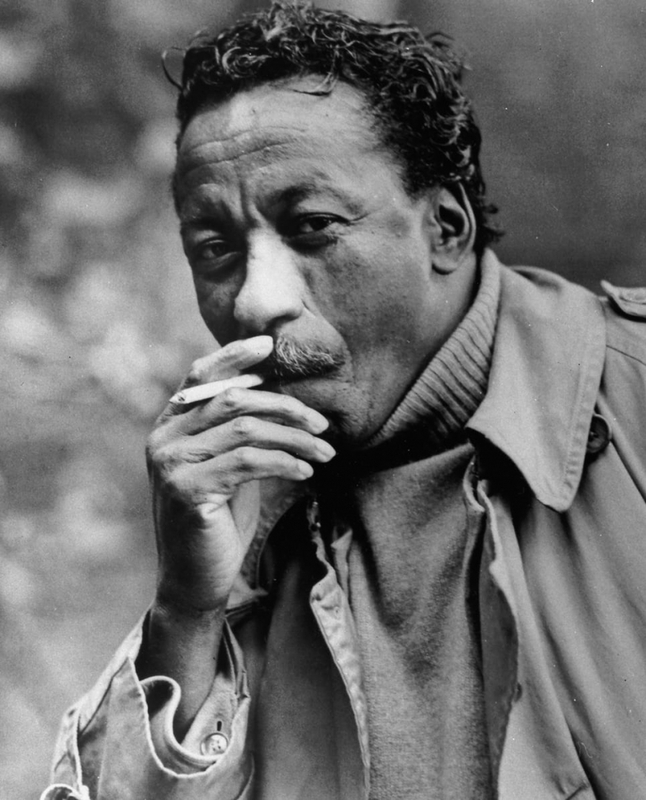 He became a hero to young black artists by giving them something to identify with. A charming man who wore dapper suits and had a handlebar moustache well into old age, some of his most memorable photos include maids with mops and Malcolm X. As the first black photographer to work for Life and Vogue magazines, Parks was also the first black film director to shoot major Hollywood films, pioneering the blaxploitation genre with his 1971 film Shaft. There are also images from his Harlem Gang Leader series, which captures the life of “Midtowners” gang leader Leonard “Red” Jackson. The exhibition also features a portrait of Ethel Sharrieff, the daughter of Islamic leader Elijah Muhammad, who remained a close friend of Malcolm X. Parks saw his camera as a weapon “against poverty, against racism, against all sorts of social wrongs”, he said. Lamar has become a fan of Parks and owns several photo books, which were initially released by the foundation, says Kunhardt. The exhibition also features stills from Lamar’s Element music video, which was directed by Jonas Lindstroem and The Little Homies. Parks may have captured the racial divide in America, but how exactly he did that can only be answered in his relentless approach to hit a nerve. There are photos of black families, community groups, protests with placards that read “We Are Living in a Police State”, as well as shots of impoverished homeless children. While Parks was at the center of the civil rights movement, this exhibition reveals not much has changed 50 plus years later. “In America, we are living in an unsettling time and there have been steps backwards,” said Kunhardt. “Our job is not to necessarily comment on the social and race inequalities that are still going on, but to show the photos of Parks, which shed light on what can be done differently.